Australian Cypress originates from Eastern Australia and is offered in both unfinished and prefinished format with both solid and engineered structure. 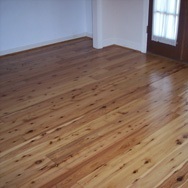 There are many different widths and thicknesses to each format of Australian Cypress flooring. Flooring.org will help you as best as we can to get you the exact exotic floor that you are searching for. Australian Cypress hardwood flooring has a character like no other floor with its small to medium sized knots scattered generously along each board. This golden-yellow exotic species with cream to blonde-colored streaks is a beautiful choice for any home. Australian Cypress would give any cabin the rustic-look it needs to provide the perfect escape. The scientific name for Australian Cypres is Callitris Glauca. Australian Cypress scores a 1375 on the Janka hardness scale. This exotic hardwood is very durable and is often used for cabinetry as well as flooring. 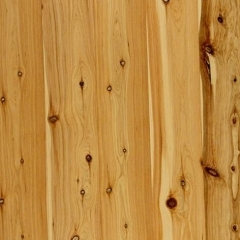 Australian Cypress is offered in 3 1/4" , 4 1/4", 5 1/4" and 6 1/4" widths.